Welcome to this special supplemental Tandem Talk. There were quite a few items that came out of Sunday’s AGM, so I thought it would be useful to catch you up on what’s happening in the world of WATCAC. Thank you to all who attended the AGM, and participated in the day to day running and ongoing governance of our little association. Anthony did a great job of thanking everyone who had done anything for the club over the past year. However, we were remiss in not thanking him for his continued time, effort and passionate support of WATCAC, in his (ongoing) role as President. Thank you, Anthony. Today’s Rec Ride prior to the AGM was a fun affair, and the usual WATCAC adventure. It started with a bit of mix and match between pilots and stokers to make sure that everyone got to join in. Everyone = 7 Tandems and 3 single bikes. Anthony piloted for Peter, who re-joins us after a couple of years decades. Paul stepped up to pilot for Adriana and Roland piloted for Erin as both Kate and Trevor are recovering from injuries and unable to ride at present. Erin has earnt the badge of Most Adaptable Stoker and claims the record of the most ever pilots – now sitting at about 8. We headed out of Rayment Park in Lathlain only a little behind schedule and made our way to Windan Bridge. Getting around Claisebrook continues to be a challenge. Today we opted to go around Claisebrook Cove and under the western side of Trafalgar bridge, rather than attempt the steep climb over the hill. This involved weaving between bridge pylons, bollards and the water’s edge, which all navigated safely, only to be confronted with pea-gravel and soggy grass on the other side. Those on the mountain bikes whooped with joy while the rest of us pushed on through. Elizabeth Quay provides another set of challenges, with meandering tourists and photo opportunities. Again, we negotiated this safely and with many cheery “good mornings”, only to come across the very well attended Pram Walk. There were a lot of prams, and toddlers, and toddlers with prams and scooters and bikes, all going in the same direction as us. (I have to confess here that this event had popped up in my news feed, but the only attention I gave it was to think “Urgh! No thanks!” and I didn’t think to check the date.) There was more, cheery calling of “Bikes Passing” and “Please keep left” and “Have a nice day” as we high tailed it over the Narrows to South Perth. The South Perth run was good until just before the Causeway, where we came across a Walk for Juvenile Diabetes. We were truly outnumbered, and weren’t going to win that one, even with our effusive charm – so we tactically made another detour up to Canning Highway and into Vic Park. Finally, road works on Albany Highway resulted in one last detour (and a U-Turn for some) before we all made it back to our start point, all at roughly the same time. Gold Stars for everyone handling the challenges and obstacles without incident and a big thank you to our domestics for keeping us all together and safe. The MSWA Ocean Ride is this Sunday- 26th November, departing from Fremantle Esplanade from 6:30am. 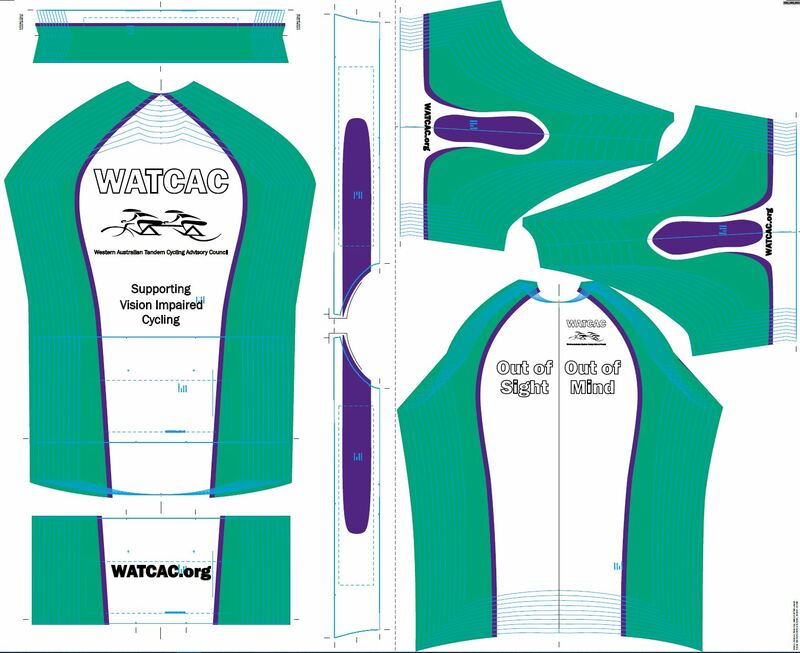 Several WATCAC Members are signed up for the 100km and the 50km rides. There’s a spare stoker seat on Roland’s bike if you are interested in trying the 50km route (hint – it’s the same as the 30km route with an option extra 10km out and back.) Contact me or Roland if you are game to give it a go. We have one final Club Ride scheduled for Sunday 3rd December. In line with the request for an earlier start, but being mindful of public transport availability, we will depart from Bull Creek Station at 7:45 am and do the sprint to the services at Safety Bay. Get your Strava Segments sorted. IT’S ONLY 5 WEEKS TO CHRISTMAS!! That means it’s time to get out your best Christmas gear, dress your bike with lights and tinsel and come join us for the WATCAC Christmas Night ride. Rudolph Roland will lead us along the sunset coast as the sun sets, followed with a tour of the best Christmas Lights in the district. We will finish off at Roland’s, who has the VERY BEST Christmas Light Display (at least according to all our stokers) for dinner. Note that we aren’t heading out until the sun sets this year, and dinner will be when we get back, at around 8:00. You might need to plan for a late afternoon snackle if you are the type that gets hangry. 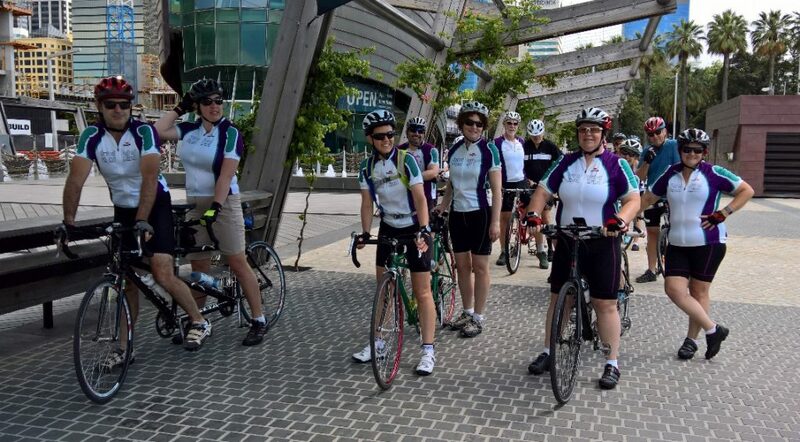 In preparation for the LifeCycle On-Road for CanTeen, which will involve several 100km plus days, back-to-back, some of us will continue cycling over the usual summer break. Connie is putting together a training plan so let her, or your WATCAC Committee, know if you want to join in. There are also mountain bike training rides planned for the second Saturday and last Sunday of the month for the LifeCycle Off-Road. Details can be found here. Let me know if you want to participate and need help with a bike and/or pilot. Planning for our new jerseys is well underway and we may even have them to you by the start of next year. We are going with a “middle of the range” jersey from Black Chrome. It will be a little more fitted than our current jerseys but not as firm fitting as the pros wear. This, Performance Fit Jersey, features silicone grippers on the sleave hems and the rear hem, a full-length zip, 3 rear pockets and is made from a soft, lightweight fabric that is aerodynamic, breathes well and is comfortable. The jerseys come in men’s and women’s sizing, from small to 5XL. We are only offering short sleaved jerseys this time. The design on the jersey will be the same as our current jersey, with a few updates. We have transposed the green and the purple colours. The bulk of the jersey will still be white, but green will be the secondary colour, which should keep the non-Dockers supporters happy. The logo has been tidied up and corrected and the font has been updated. After feedback from the AGM we have added the WATCAC website address to each sleave and across the centre-back pocket. The words “Supporting Vision Impaired Cycling” have also been added to the back. The design is still up for review but get in quick if you want to suggest any changes. A picture of the design appears at the end of the newsletter. Finally, there is an option to add matching, cycling socks to our kit. They feature; Airtech fabric specifically developed with small air channels that offer optimal breathability and aerodynamics, an internal textured compound to keep the sock firmly in place and a high quality coolmax foot for increased comfort in all weather conditions. We are aiming to get the jerseys to you for under $70 each and the socks are $20 a pair (apologies to those who I told $10) Please contact me with your order ASAP. As approved at the AGM, membership fees will increase to $40 per year from 2018. This is the first increase in many, many years. Your membership now includes a Tagissar ICE (In Case of Emergency) Sticker, while stocks last. 2018 Membership fees are due by 31st March. Bike loan fees run from 1st July to 30th Nov and 1st Feb to 30th June, at $50 per period. 26th November MSWA Ocean Ride – Fremantle to Hillarys: 30, 50, 70 and 100 km Rides.